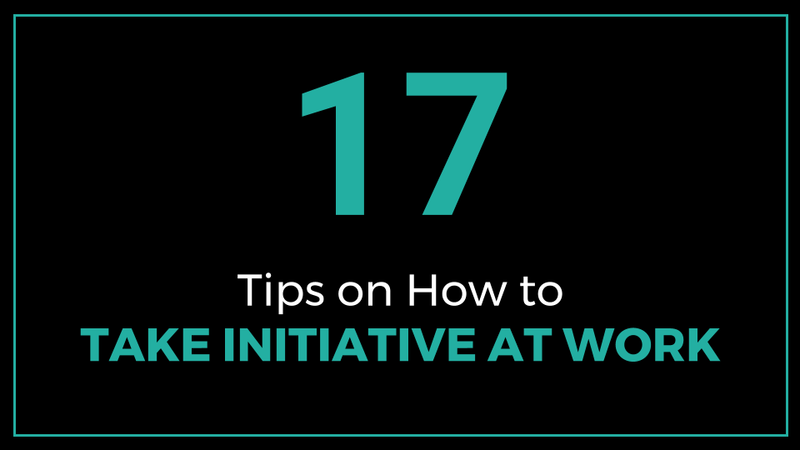 This article discusses tips on how to take initiative at work. The ability to see something that needs to be done and stepping up to do it is a game changing habit that can help you to stand out at work. Having initiative demonstrates a sense of self-drive, self-awareness, insight and personal motivation. The habit of taking initiative strengthens your personal brand. You can become a role model to others who would seek to emulate you. My favorite tip on taking initiative is # 16 “How to Maintain Your Enthusiasm at Work”. What is your favorite tip? You can quickly skim all the 17 tips on the table of contents below then click on any tip to read further details. Please enjoy reading. Thank you. What Does Taking Initiative Mean? What Causes Lack of Initiative? One crucial skill that can serve you well in both your personal and professional life is the ability to show initiative at work. If you constantly wait to be told what to do, then you waited too long. The habit of initiative entails seeing something that needs to be done and either doing it or figuring out ways to do it. The more you work on initiative, the easier it becomes. The key is finding ways to be resourceful and taking action or doing something before others do it or before you are told to do it. Taking initiative shows the hallmarks of a leader in the making. Examples of initiative include: when you see others struggling reach out and offer help. When you see areas where your life is not going as well as you would like to and you decide to do something about it. When you see bad decisions being made that could be disastrous and have courage to speak up and point the flaws rather than waiting for the bad thing to happen and then make statements such “I thought that wouldn’t work out well”. Other ways of developing your initiative include learning to ask the right questions, probing questions which can bring to surface negative undercurrents that need to be addressed. Taking initiative helps to build and strengthen your decision making skills and analytical skills where you get to analyze pros and cons of different courses of action. Having initiative also helps to identify opportunities and capitalize on them. The habit of taking initiative strengthens your personal brand. A person who takes initiative will be a role model to others. You will chart a new path and try out a new way of doing things that could help improve your life and those of others. 2. What Does Taking Initiative Mean? Taking initiative means the ability to see something that needs to be done and deciding to do it out of your own free will without someone else telling you to do it. Doing something that needs to be done out of your own personal drive with a desire to make things better than they were before or improve processes and ways of doing things. Doing more than your normal work duties and adding a little unexpected surprise for others at work. Being proactive instead of reactive, thinking ahead and taking action. Developing your initiative begins by knowing what you want to achieve in your career, what things you have to and are willing to do and how fast you want to achieve your career goals. Learn how things work and figure out efficient ways of working. Look for opportunities in problems. Persevere and be willing to start small. You don’t have to dive into a big project immediately; build your initiative muscles one step at a time. Observe colleagues who are masters at taking initiative. Talk to them, learn from them, work with them, learn their thinking processes and most importantly study how they execute ideas and accomplish goals. Practice speaking up and making your voice heard. You could start by contributing and participating actively in small group meetings then graduate slowly to larger groups. Let people get used to hearing your input. When you consistently offer good ideas, suggestions or recommendations, your opinions will be sought over time. Learn to be decisive. Become comfortable at making decisions rather than agonizing endlessly over decision making. Think long term. Study how different things are interrelated and connect the dots such as the interplay between individual annual goals and the strategic goals of the company. There are many ways and opportunities to take initiative at the workplace. Building strong working relationships with coworkers. Being innovative/improving systems, processes and procedures. Resolving interpersonal conflicts at work. Becoming a good team player. Supporting your supervisor or manager efficiently. Making good decisions and being decisive. Begin by doing your actual job exceptionally well and then identify areas where you can contribute over and above your normal tasks. When you have identified specific work-related tasks and projects that you can do, run these by your manager to let them know what you want to work on and reassure them that this will not affect your regular roles. The next step is to begin working on a few small tasks over and above your normal duties and keep repeating these tasks till you get comfortable doing them and gradually increase the amount of extra work that you are capable of handling. You can also help your manager to handle some of their priorities. Over time you might end up doing a lot of extra tasks that add value to your team and department and you could even end up being considered for a job promotion. In a typical work setting, problems occur every now and then. It is vital to work on building one’s skills and confidence in problem solving so that you can identify problems, come up with options and choose the best solution. The first step in problem solving is to clearly understand the problem so that you can come up with correct solutions. Some questions to ponder on during problem solving process include: What is the problem? When did it happen? Why did it happen? What solutions have we tried before? What solutions worked and which ones didn’t? How can we solve this particular problem? How much time do we have? If the challenge being addressed is big, break it down into smaller pieces and resolve each section at a time. Each time you come up with a solution for a problem then implement the solution and it work outs well, this in-turn helps to strengthen your problem solving skills. Some solutions may work and others might not, on average strive to come up with as many good solutions as possible. Brainstorming with others similarly helps to identify options and narrow down choices. One way of showing initiative at work is by being a fast learner and training others or explaining things to others. When you attend a professional development training course, you can organize a brown bag lunch to cross-train colleagues who might benefit from the knowledge. Similarly, share your knowledge through creating internal resource documents such as “how to” manuals, operating guides, flowcharts, standard operating procedures, checklists etc. You can also create a virtual library of resources and resource manuals for colleagues to use. When new staff are hired in your team, you can give them orientation training regarding your department and the company and help them to settle in quickly. Additionally, you can deliver companywide training on areas and skills where you excel in such as delivering training on advanced spreadsheets, how to use databases, budget preparation and management, report writing, presentation skills, closing a sale, fundraising and prospecting, basics of project management etc. You can empower others by sharing your tips, routines or efficiency methods that work you. Ways of helping coworkers can include being responsive, helping to clear backlog, assisting in coming up with solutions, helping to explain complicated processes, training them on using new systems and being collaborative in sharing relevant information with team members. Other methods are listening to others view points and opinions, willingness to learn from others, supporting other departments, giving kudos to team members on their accomplishments, participating in office communal and volunteer activities and participating actively in meetings and voicing your thoughts and comments. Additionally you can act as an accountability partner to check-in, encourage and motivate a colleague who is working on achieving specific goals. Demonstrate willingness to pitch in and help others when they run into challenges. If necessary, be willing to roll up your sleeves and do what it takes to help a colleague meet a critical deadline even when it might call for working a few late nights and weekends. Aim to provide regular progress updates to both internal stakeholders such as your boss and coworkers on one hand and on the other hand keeping external stakeholders regularly informed as well such as other departments, clients, customers, funders etc. It helps to be on the same page with your boss regarding your priorities. When you are working on your assignments or when you have been assigned tasks by your manager, aim to give them periodic updates on not only what you are doing but also on your progress. Similarly when collaborating with colleagues on tasks, especially sequential or dependent tasks where one person has to finish their part, in order for the other to start their part, plan to give regular status updates on your progress as well. One of the great honors in the workplace is being a person that people want to genuinely work with. It starts from the little things such as saying “hi” in the morning and saying “have a good evening” when you leave for the day, to being polite and respectful, to expressing gratitude and saying “thank you,” to being accountable and reliable. Building strong working relationships with coworkers goes beyond small talk. It requires genuine effort and takes time to achieve. When you start working in a new organization, introduce yourself to others and learn how different people work and interact with each other. Make a sincere effort to get to know others by asking respectful questions, learning what they do, inviting them for lunch or a walk and getting to know their interests both at work and outside work. Remember to acknowledge special occasions such as birthdays and work anniversaries. Maintain regular contact with your colleagues. When nurtured well they could turn into lifelong friends. Furthermore, having strong work bonds and friendships at work can help to increase your morale, job satisfaction and productivity. In any organization, department or team, there are usually some specific activities or tasks that most people shun from doing. These are typically low priority tasks that when left unattended can turn into major priorities over time. Examples of these kind of activities can include filing, organizing hardcopy and electronic files, scanning, shredding, archiving old documents, cleaning up data including filling-in incomplete information and removing or merging duplicates, spotlessly cleaning the office fridge or microwave, organizing departmental filing cabinets etc. When you have some downtime at work, you can make an effort to quietly complete one of these kinds of projects. Spread your tentacles across the organization by not only working with your immediate team but also looking for opportunities to work with teams from other departments. This enables you to learn what other teams do, create new working relationships and raise your visibility in the workplace because others will in turn know who you are and what you do. Other avenues for participating are office social committees that help in planning office activities such as baby showers, annual parties, team lunches, employee appreciation and awards ceremonies, office contests and games, office parties, ice cream socials, happy hours etc. Demonstrate willingness to step in when needed during times when a colleague is unavailable or absent. Ways of assisting include offering support in doing routine tasks or even during emergencies and acting as a backup when a colleague is on vacation then working with your manager on prioritizing tasks. Additionally, you can extend your help to support colleagues who work remotely and also staff who are out on business travel or in the field. A little support from headquarters staff during these situations goes a long way. Innovation at work can take the form of coming up with new ways of doing things or improving existing systems and processes. Ways of developing your innovation skills include the following: questioning the way things are, asking how tasks can be done better, inventing unique solutions to problems, looking at unrelated industries and professions for inspiration, combining unrelated ideas to come up with new methods, asking colleagues for tips, suggestions and ideas and dreaming big and visualizing expected outcomes. Other ways are looking for people to critique your ideas and offer suggestions for improvement, seeking feedback from customers, observing competitors, analyzing constant complaints to identify patterns, setting high goals that stretch your abilities, reading books and watching video tutorials for inspiration and collaborating with others on improving things. More ways of honing innovation skills are revisiting failed ideas to see if they are salvageable, seeking coaching and training to expand your thinking, acknowledging failure as part of the process towards innovation, attending industry events, exhibitions and conferences, participating in focus groups and making regular upgrades, edits and changes to services and products. Despite our best intentions of working harmoniously with colleagues, inevitably conflicts and disagreements occur at work. Unresolved conflict especially over long periods of time can damage work relationships and productivity. Unresolved conflict can manifest itself in different forms such as tension, negativity, backbiting, uncooperativeness, name calling, hostility, nitpicking, silent treatment, unhappiness, arguments and undermining each other. When you have a misunderstanding with a coworker, take the initiative to work out your differences as quickly as possible. Sometimes you could be the one in the wrong and at other times you could be the aggrieved party. It pays to acknowledge the problem, privately discuss it, find a middle ground or a resolution, apologize and find ways to move on. If necessary, a mediator such as a supervisor could be involved. You can volunteer to mentor peers, junior staff or new hires. You could be surprised by how much knowledge you have to offer especially if you have been in a company for a while. As a mentor you can offer a support system for others, help in on-boarding, answer questions about the company, transfer skills, offer encouragement and help others to grow in their careers. Additionally, you can motivate others to reach their goals and act as a sounding board to listen to and help refine mentees’ ideas. Benefits of being a mentor consist of developing your leadership and coaching skills such as giving feedback, becoming better at guiding others and communicating well. Mentorship enables you to increase your network within a company and is likewise a good way of giving back to others. A good way of showing initiative is volunteering for leadership roles at work such as leading events or meetings, leading planning sessions and working with different teams and departments. These types of activities help to develop leadership skills such as public speaking, communication, negotiating, decision making, resource allocation, delegating, motivating others, collaboration, team building, mentoring and providing feedback. It also helps you to assess your areas of weaknesses and proactively work on improving your strengths in these areas. When you know a person who meets the requirements for an open position within your company, it makes sense to refer them for the job. Benefits of employee referrals to companies include: it helps to save time in the recruiting process and it reduces the level of risk and unknowns because the existing employee vouches for the job applicant. If the person is hired, you can even act as a mentor to help them find their way around and bring them up to speed on how things work in the organization. When your team or department has a job vacancy, volunteer to help in the initial rounds of interviews to interview future team members. Armed with inside knowledge, you can provide value by assessing candidates who can be a good cultural fit and assist in selecting exceptional candidates. Offer your feedback and opinions to the hiring manager or evaluation team on whether a candidate is a good fit for both the job and the company and your evaluation on whether they can succeed in your organizations work environment. This opportunity gives you a chance to improve your interviewing and listening skills as well as gaining practice in applying consistent standards or criteria for evaluating all candidates. In addition you can offer help in drafting or editing the job description. One way of taking initiative is through participating actively during brainstorming sessions. Begin by offering as many ideas as possible, then help in narrowing down the options, identifying the pros and cons of the top solutions, questioning assumptions, connecting the dots and finally selecting the best alternative. Wherever possible, prepare by doing research ahead of time. Improve your brainstorming skills by asking questions such as: What are we trying to achieve? How can we make this better? What else has been done? What do we know? What don’t we know? Is there a better way of doing this? The major benefit of generating and sharing ideas in a group setting is the value addition process that raw ideas are subjected to. You can come up with a basic idea, for example, how to improve a product, then someone else adds another angle or element to the idea and this process is repeated over again. Eventually the final idea is usually much richer and more refined. More results are achieved through teamwork and teamwork skills are vital for success at work. Ways of being a good team player in the office include communicating clearly, being reliable – someone others can count on, staying committed, being open minded – listening to different opinions without your ego getting in the way and working with others to set and achieve common goals. Other ways entail celebrating other people’s achievements, listening well and demonstrating understanding by paraphrasing, developing mutual trust, offering solutions, providing regular feedback, being flexible, adapting well to change, keeping others regularly updated, asking questions for input and clarification, collaborating with others in a friendly way and sharing information. Additional ways for becoming a good team player are having fun and a sense of humor, steering clear from gossip, apologizing when you make a mistake, paying attention to body language, being approachable, taking time to learn what others do and networking with colleagues in other departments. Align your priorities with your supervisor. Make it a habit to have regular check-in meetings with your boss where you update them on the activities that you are planning to work on as well as the ones you have completed. Find out what your manager’s top priorities are and ask how you can help them. When you run into problems or challenges and need your manager’s help, come up with proposed solutions and run these by them. This makes their work easier when they have to choose among alternatives rather than figuring things out from scratch. Other ways of supporting your manager include finding out their strengths and weaknesses and actively supporting their strengths while helping them to overcome their weaknesses. For example, if your manager is fond of leading rambling agenda-less meetings, help them to get focused by working with them to prepare draft agendas and help them to follow or stick to the agenda during meetings. It is easy to fall into the trap of comparing yourself with others and feeling that your skills and contributions at work fall short. Likewise it is important to note that other people could be facing the same affliction as well. You can take an active role in ending this cycle, especially as a leader or manager, by making it a part of your role to regularly identify and bring out the best in others. Everyone is unique and has something to contribute in their own way. Make a point of letting others know what you think their strengths are. You can even write down their strengths and hand over the document. This kind of exercise can be an eye opener for the other person. It can help to confirm what they are good at and excel in doing. It can also help to boost other people’s confidence. Additionally ask others what they enjoy doing and put them in roles and teams that can best utilize their skills and help them shine. Genuinely offer timely praise to others when they do a good job. On the opposite end of the spectrum is helping others to discover their weaknesses and actively work on helping them to improve and excel. Offer to train, mentor and coach others. Ask for areas where they want to improve and identify development opportunities that can benefit them. Help and encourage others to push themselves by setting challenging goals and each time they reach their goals, they should then set even bigger ones. Become good at thinking ahead, anticipating and preventing problems before they occur. Especially by drawing from your past experience and knowing typical failure paths or where mistakes usually happen in a certain project and avoiding errors ahead of time. Foreseeing challenges is greatly aided by good planning upfront. When working on an activity, set aside some time at the beginning to plan it well. Think through what you want to accomplish and at the same time visualize areas that could potentially go wrong. One typical challenge at work is running out of time to do assignments and missing deadlines. This could be caused by underestimating the amount of time required to do the work, procrastinating and starting the work late, and discovering that you don’t have all the needed resources or information to do the task when it is too late. Other reasons are not following up with others who you are collaborating with to ensure that work is progressing well and not being on the same page with team members on the expected requirements and deadlines. These challenges can be overcome by having good work plans, clearly communicating with others the expectations at the beginning of a task, assessing requirements at the beginning and identifying gaps or missing resources and following up regularly on the progress. Work on dressing sharp and professionally represent yourself and your organization well. Your dressing style should help you to stand out in a confident and positive way. Get inspiration from the dressing style of senior professional managers who you admire. Look at details such as color combinations, well put together outfits, good quality clothes and sparkling shoes. At a minimum choose clothes that are comfortable, well fitting, clean and well maintained, then top it up with good grooming and key accessories. Many activities in the workplace are usually accomplished through teamwork, joint efforts or contributions from various employees. Make it a practice to acknowledge, recognize and appreciate colleagues, in a timely manner, who helped, contributed or pitched on a completed or successful project. Simple ways of sharing the credit include sending out an email to team members thanking them and acknowledging their contributions, publicly praising colleagues during a meeting or privately thanking a co-worker for their help. By not being a credit hog, you build up goodwill that makes it easier for others to assist you in the future. A by-product of sharing the credit is when you appreciate others, they could in turn acknowledge your contributions in other projects to your manager and others thereby raising your profile during performance reviews. Push yourself to higher limits of excellence and performance. Be known as a professional who not only sets high quality standards but also consistently works to maintain those standards. Examples of high standards at work can include: setting goals and taking action, planning and prioritizing your work well, always meeting deadlines, being well prepared for meetings, participating and giving valuable contributions during meetings, giving top-notch customer service, having integrity and maintaining a good attitude. Other examples are submitting well-organized high quality work at all times, not being afraid to repeat work that has been done incorrectly, keeping your commitments, being willing to help others, supporting your boss to succeed and always looking for ways to improve your company’s performance. Being decisive is an important trait for succeeding in the workplace especially in situations where there is ambiguity or uncertainty. Equally important is involving others in decision making by seeking their inputs and feedback. Over time, it helps to come up with your own method of making decisions. A simple way of decision making is coming up with a few solutions or alternatives then analyzing each option in terms of what would be the best outcome if I choose this option and also what would be the worst outcome. Then select the option that makes the best sense. Aim to make decisions that help to keep things moving forward. When you finish major projects, make it a habit to set aside some time to review the final work output. A few questions to aid in evaluating completed tasks include: Does the final project or work output match the original specifications and requirements? Are there any errors? Is there any incomplete work? Are any corrections needed? It helps to prepare work plans and checklists when starting a project and these can in turn be used to do the end of project evaluation. Aspire to get good at not only creating checklists but also in using them for monitoring finished work and additionally training others on using your checklists and standards. You should take initiative because it gives you visibility at work, you stand out, you get recognition, and it enhances your value and personal brand. Taking initiative improves your potential for promotions and career growth. More problems are solved at work, time is saved, resources are saved or utilized efficiently and processes are improved. Taking initiative and trying different things, methods or processes can lead to breakthroughs. Additionally relationships are strengthened when you help others resulting in stronger team dynamics. It likewise creates independence, higher morale, bosses and supervisors are happy with your contributions, you become a role model for others, you stretch your critical thinking skills and challenge your problem solving skills. Moreover, the habit of taking initiative adds to your personal happiness and job satisfaction. In as much as taking initiative is to be praised, there are some caveats to take into account before diving into the depths of demonstrating your initiative. The first item on the checklist is to ensure that you finish your normal tasks satisfactorily before taking on more work. Your primarily responsibility is the job that you were hired to do. Efficiently handle what is on your plate first. Avoid overcommitting yourself. The second item on the checklist is to know the limits of your authority. Before taking initiative on matters in a gray area, consult as appropriate. Work with your boss on critical high profile initiatives or obtain your boss’ permission to proceed on your own. Do thorough research before changing things or proposing major changes. Taking initiative also means taking risks. Assess your risk tolerance. Know that there is a potential to make mistakes and fail. Don’t overpromise and under deliver – it affects your credibility. There could be situations where you need to own up and admit your mistakes when you fail. Have resilience and a good attitude. Additionally your sincere initiative efforts and ideas could be ignored or unwelcome. Rein in your ego when you encounter rejection of your ideas, don’t take it personally. Keep your cool. Have the ability to bounce back and keep on going with enthusiasm. Don’t try to solve all the company’s problems at once. Likewise don’t try to do everything alone. Feel free to ask for help when you need it. When you stick your neck out you can attract haters; people who won’t be happy by your progress. You can be taken advantage of by others and have extra work dumped on you. You can encounter people who want to put you down for no reason. Be cautious of idea killers especially when idea is at infancy. Don’t appear as a know it all – be a sponge, absorb, learn and soak up knowledge. Don’t brown nose. Practice being patient, change takes time. Sometimes you will underestimate the effort involved in executing a task; this is part of the learning process. You will become better at estimating effort required over time and through practice. At all times, take care of yourself, be well rested, take time to do a job well rather than hurrying up to finish the work, be open to other people’s viewpoints, be humble, and respect yourself and others. Ways of taking initiative as a team consists of problem solving as a group, brainstorming ideas – presenting a raw idea to a team can result in a much better idea after input of different people, and volunteering on an internal or external activity as a team. Other ways entail working collaboratively on designing manuals, standard operating procedures, guidebooks, flowcharts etc. for others to use and teaching each other through formal or informal learning sessions. Taking team retreats to work on developing ideas, concepts and projects and working on team building initiatives to strengthen working relationships. Remember to thank others and acknowledge other people’s contributions in making the teamwork a success. An organization with a culture of employees taking initiative can achieve substantially more results than a company where staff do not take initiative. How can you create a culture of taking initiative in your company? By acting on employee feedback and suggestions from staff surveys. By praising staff for doing a job well. By providing company-wide rewards tied to taking initiative to stimulate creativity and innovation. By inviting well respected industry leaders to talk to, inspire and motivate your team. Encourage employees to take initiative by creating environments necessary for initiative to prosper such as weekly meetings where staff share their initiatives and the successes achieved, including employees in planning goals, publicly appreciating and recognizing those who take initiative and empowering employees. Other ways of stimulating creativity include knowing what your employees are good at and encouraging those positive traits, sharing the company vision and inviting clarifying questions, showing employees the results of their efforts i.e. who benefits from their work and equipping employees with knowledge, skills and tools to succeed. Challenging employees to improve processes and create efficiency, being accessible to staff and listening to their ideas, making it ok to take smart risks and make mistakes. Being open and sharing information about what is going on in the company, encouraging sharing of knowledge and information and senior leadership to make taking initiative a priority. Good management, culture of initiative being supported, actively seeking suggestions, ideas and recommendations from employees on how to fix what is broken and areas of improvement. Encouraging teamwork, allowing work flexibility and telecommuting, giving employees regular and actionable feedback and hiring people with a history of taking initiative. 9. What Causes Lack of Initiative? There are many reasons why people do not take initiative such as fear of presenting your ideas, fear of speaking up, fear of criticism, self-doubt, lack of faith in one’s ability and thinking someone else should do it. Doing the bare minimum to survive in your job, making excuses, playing the blame game, playing the victim, waiting to be told what to do and believing that the boss has all the answers. Other reasons why people do not take initiative consist of: lack of interest, shyness, don’t want extra work, self-sabotage and not seeing the benefit of doing it. Not wanting to rock the boat, procrastination, search for perfectionism, it simply takes too much time, resistance to change, mistrust, coming up with reasons why it won’t work, negativity, burnout, other commitments and being overstretched. External reasons for lack of initiative include people pulling each other down, constant complaining and doing nothing, taking initiative is frowned upon, your ideas getting stolen by others, not getting the credit you deserve and people satisfied with the status quo. Being held back by past failures i.e. 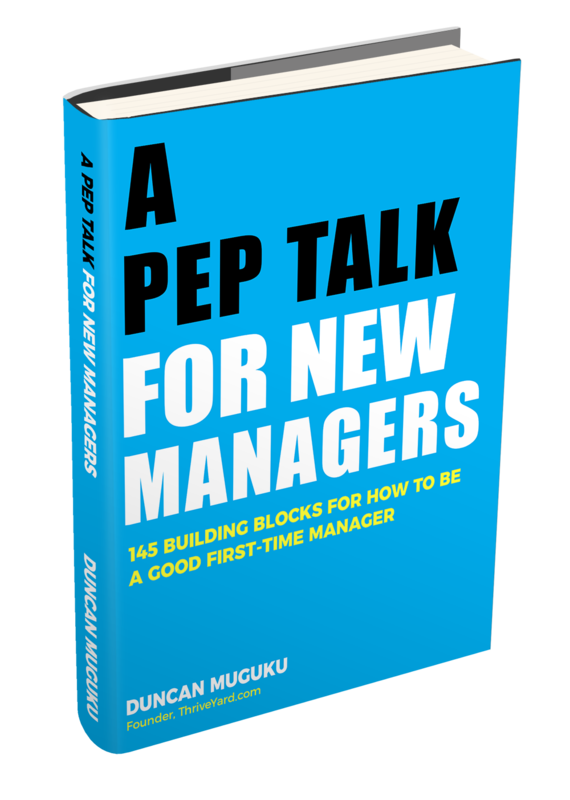 we tried that before and it didn’t work, short term thinking, busyness, low morale, poor team spirit, micromanagers and fearful managers who are threatened by employees’ success. It is worth noting that despite all your good intentions while taking initiative, there are some bosses for whatever reason who might feel insecure and threatened when you take initiative at work. Planning and then taking action. 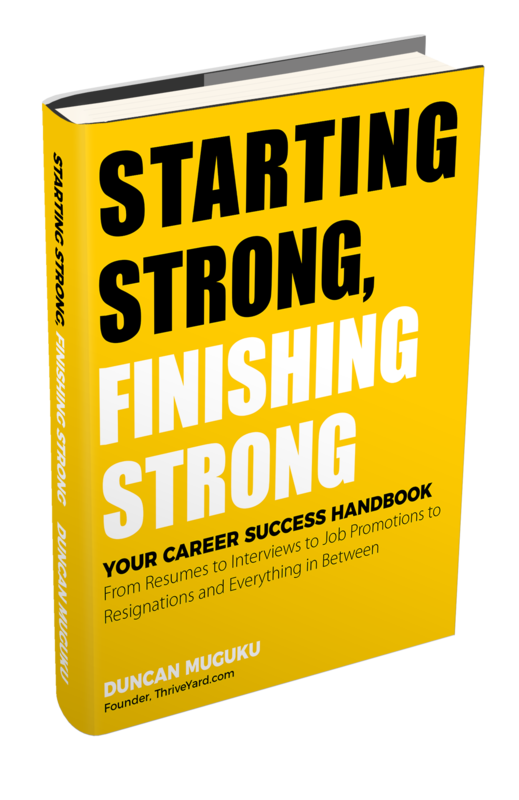 Knowing what you want to progressively achieve in your career and deliberately taking steps to get you closer to your career goals. Concern and consideration for not only the well-being of the company but also about the well-being of colleagues. Teamwork, cooperation and working well with colleagues, bosses and customers. Boldness to take smart risks and having confidence that what you are doing will have a positive impact. Interest in how things work and trying to figure a way to make things and processes better. Reading widely. Keen observation to see different perspectives and connecting the dots. Not agonizing over making decisions and choosing options. Thinking on your feet. Conducting relevant research, analyzing, interpreting and drawing timely conclusions and recommendations. Persevering even when the going is tough or when it takes a long time to reach the desired result. Not giving up. Following through. Set targets for yourself and actively work on meeting and even exceeding your goals. Let your goals excite you and energize your actions. Measure your progress. Having a good attitude complements all your other traits. It makes it easier to get along with others. Smile. Practice being grateful. Strong listening skills. Talking, writing and expressing your thoughts in a logical organized and persuasive manner. Be aware of your tone of voice. Pay attention to body language or nonverbal communication. Keeping your ego in check. Valuing other people’s ideas and opinions. Respecting others. Concern for others and their feelings. Not over stepping your boundaries. You can learn from anyone and any situation. Being open to new methods of doing things. Thinking of possibilities and potential benefits. Good planning skills. Good time management skills. Passion for your job, for success, to teach others, to contribute positively and the desire to make a difference. You can be counted upon. You always do what you say you will do. Pushing yourself to accomplish what you set out to do. Having internal motivation and the will to see it through. Thinking about the big picture of the company and how your seemingly small efforts can benefit the overall organization – entails dreaming big, being creative and innovative. Flexibility. When your assumptions don’t work as expected re-calibrate and try another way. Desire and willingness to keep improving. Inevitably problems are a part of our daily lives. Problem solving skills are important for the career-minded professional. The foundational pillars of taking initiative include the ability to solve problems. Understanding what the problem is. Listening to and assessing all available viewpoints. Identifying what solutions have been tried already if any. Analyzing how the problem arose. Mapping out repeatable steps for the future. When you imagine yourself as the owner of a company, it can help stimulate your appetite for taking initiative. A business owner is responsible for the success or failure of the company. This mindset requires thinking about all the moving pieces of the organization and ensuring proper alignment. To think like an owner of a company, ask questions such as – how can this company go to the next level? An owner thinks about the big picture and creates systems to make processes easier including automating tasks, delegating and even outsourcing some activities. They also work on setting goals, taking responsibility and not making excuses or blaming others, keeping good records, treating customers like royalty, following up regularly with customers, taking risks, develop the brand and reputation and studying other successful business leaders. Being decisive and not getting caught up in analysis paralysis, thinking of potential revenue generating ideas, how to grow the business, how to improve processes, how to save costs and where to get good employees. A business owner similarly encourages staff, prioritizes work, networks, builds rapport and alliances, negotiates, sells, forecasts, innovates, studies business trends, looks for opportunities, manages, visualizes and plans. Studies the competition, seeks mentors, makes presentations and pitches, improves processes, reduces expenses, works on customer satisfaction and learns from failure and mistakes. The art of asking good questions is a relevant ingredient in the process of taking initiative. Question why things are the way they are. In a respectful manner, ask open-ended questions and also follow-up questions. Don’t ask too many questions at once. Take down good notes. Later on take time to review and reflect on the important points you learned. Become proficient at gathering data, understanding details, figuring out how things work, understanding bottlenecks, listening well, paraphrasing, not interrupting, recapping, assessing pros and cons, testing theories and assumptions, and making logical conclusions. Seek feedback and use it to spur on your initiative efforts. Talk to supervisors and colleagues to learn what you are doing well and should continue doing. On the other hand also learn about which areas you are not performing well and what you need to do to improve. Talk to customers, ask them what they like and what they don’t like and seek any suggestions for improvement that they might have. How much initiative you take can be determined by your level of confidence at work. So how do you increase your confidence so that it spurs you take more initiative? Simple ways of increasing your confidence include: being good at your job and having a record of accomplishments, being knowledgeable about your subject area, increasing your skill levels and competence. Paying attention to details, not making excuses, knowledge of both the big picture and the nitty gritty, building alliances and networks at work, supporting colleagues and supporting your boss. Having goals and meeting them, being well prepared, dressing well and comfortably, smiling, stretching yourself, going beyond your comfort zone, being kind to yourself and practicing positive self-talk. Part of taking initiative at work will entail sharing and pitching your ideas to your boss. When you have a proposal or a new idea, write down the idea, list the major benefits of the idea, list the drawbacks and disadvantages, explain what resources would be required to implement the idea, how to execute and implement the idea, what are the implications if the idea is not implemented and a timeline for implementation. Prepare a one or two page outline that covers the points above then schedule a good time to meet with your boss. Send your boss the proposal in advance. On the day of the actual meeting present your idea confidently, anticipate any questions that might be asked and prepare yourself adequately. Practice your pitch a few times. Carry copies of your proposal. You might get an answer immediately or you might get it later on. In either case be prepared for either a yes or no answer. Whichever answer you eventually receive, always graciously thank your boss for taking time to review your proposal. Seek to gain as much insight and feedback as possible if the answer is no and use this as a learning lesson for your future pitches. Get used to some rejection along the way. Cultivate the skill of quickly bouncing back and moving forward. Your level of enthusiasm affects how much initiative you take and how self-motivated you are to go the extra mile. Firstly, enthusiasm and love for what you do will take you further than when one is unenthusiastic about their work. Granted everyone has good days and bad days at work, the key thing is to on balance strive to have more better days. Enthusiasm is infectious; it can be transmitted from one person to another. It makes the work environment fun and stimulates creativity. Maintaining enthusiasm takes effort. Routine at work can cause loss of enthusiasm. Without enthusiasm apathy and complacency can set in. This can lead to coasting or doing just enough to keep you going. Boost your enthusiasm through talking to colleagues and cultivating healthy work relationships, attending industry events and conferences, interacting with customers, reading widely, getting mentors and learning new skills. Similarly maintain your enthusiasm level through seeking feedback, setting mini challenges for yourself, organizing your work area and decorating it, reading motivational quotes and re-reading kudos or congratulatory notes from your boss or colleagues. You can also listen to inspirational music. Other ways of maintaining your enthusiasm include writing down your career goals, going outdoors and enjoying nature, taking a break and teaching others. Watching inspiring videos, volunteering, complimenting and recognizing others when they do well and avoiding negative thought patterns and self-talk. More ways entail taking small steps to achieve big goals, taking time to do personal reflections, taking time off, writing down your ideas and taking care of the basics such as sleeping well, eating breakfast and lunch, drinking water, dressing well and planning your day well. 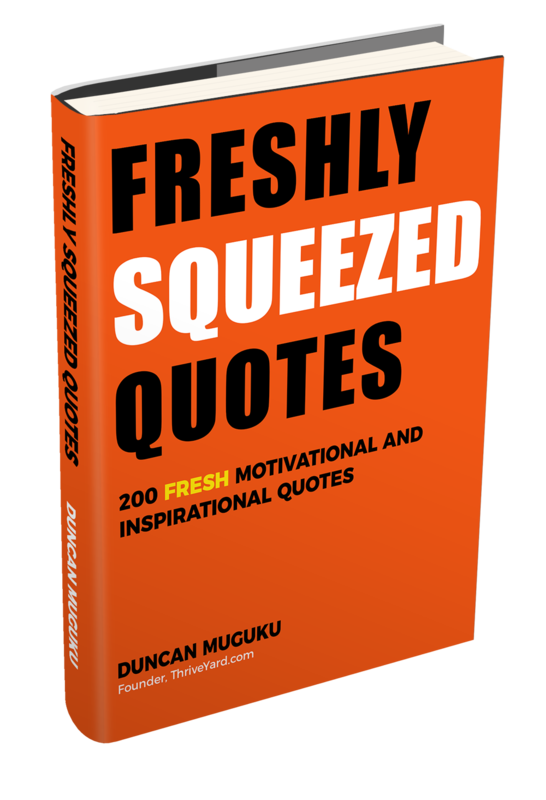 From time to time, take a moment to read a few inspirational and motivational quotes on initiative, to boost and recharge your mood and morale. This detailed article gives you step-by-step guidance on how to take initiative at work. When you have initiative, it strengthens your personal brand and can help you stand out. It shows self-drive and motivation. Tips include seeking more responsibilities, tackling challenges, solving problems and being innovative.